Modern garage doors are manufactured in accordance with specific technical specifications and safety regulations. Therefore, people who own older garage doors that lack basic safety features prefer to replace them with new ones. Sometimes, old garage doors need more money for regular services and the installation of various accessories rather than to buy a brand new one. The installation of a new garage door must always be performed by professional experts. Although, manufacturers always give you detailed instructions for installations and repairs, it is always better to let professionals install it. It is a rather delicate task, which requires absolute precision and knowledge of technical details. Our technicians, at Garage Door Replacement Shoreline, have a great experience on garage door installation and replacements. In fact, we also carry a great collection of the latest garage door models manufactured by the best brands in the world. Aluminum garage doors are not usually very heavy and thus not too hard to be installed. It is a great material because it doesn’t rust and lasts for a very long time. It is resistant to weather fluctuations and they are usually not very expensive while you can find them in various styles and colors. They are usually installed with heavy insulation that can help you save energy and in case they need to be replaced, the aluminum is recycled. Steel garage doors are considered the strongest ones and they are also extra insulated. They are heavy and expensive but they are completely reliable. Today, they are installed usually with added security features, which enhance their security capacities. They come out in various sizes, styles, designs and colors, so you can choose the one that suits your home and your taste. Wooden garage doors appeal to those who love natural beauty, though there are plenty of paints and oils in the market, which not only protect their sensitive surface but they may also transform a traditional door to a modern one by using a fabulous color. Yet, it is not the best choice for homes located in places with extreme temperatures. You must also ensure you keep them clean from dust and other elements. They need more regular services and maintenance in order to keep their good condition. Glass garage doors are the latest trend in our field. They may be very expensive but they will give an extra touch of beauty in the exterior appearance of your house. They are made from strong glass and you can also ask double layers for double safety. They come out with wooden or aluminum frames and they can also be colorful. Lately, many people request to install windows on their garage doors. 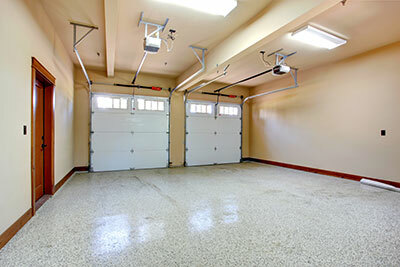 They usually help bring some light into the garage and add an appeal to your property. They are usually placed high on the doors or the panels and our technicians always ensure to seal them all over so that you will not lose any energy. Garage doors consist of many component parts and every one of them will eventually need to be replaced. Garage Door Replacement Shoreline has the means and the expertise to evaluate when it’s time to replace a certain garage door part. Our technicians will replace the torsions springs, for example, that are necessary to be replaced only by professionals or any other garage door part. We have the knowhow and the experience to replace and install all garage door parts regardless of the material of the door or the brand.